A BHPH dealership could get on the road today! What is a BHPH Dealership? Buy here pay here (BHPH) dealerships are car lots that finance auto loans in house. Since car buyers with poor credit often find it difficult to get approved for an auto loan, they may find themselves looking into a BHPH dealership. Unlike subprime lenders, these dealerships typically don't run a credit check. Instead, they base their loan decisions on your income. Because these dealers are the lenders, everything from getting approved and picking out a vehicle to filling out the paperwork is done right then and there. BHPH dealers are a great option for car buyers who need a vehicle as soon as possible and aren't as worried about improving their credit. It isn't always easy finding these dealers, and that's where Auto Credit Express comes in. We work with a nationwide network of dealerships, including BHPH dealers, and we want to help you find the financing you need by connecting you to a dealer in your area. Click here to get started today! Different from traditional dealers, BHPH dealerships finance their vehicles in house. This means that the process of buying a car and taking out a loan is done under one roof. BHPH dealers typically aren't affiliated with banks, credit unions, or third-party lenders. To get approved for financing, you'll need to visit a BHPH dealer in person. At buy here pay here dealerships, they base your approval and loan amount on your available income. Before picking out a vehicle, you sit down with someone in their finance department to fill out an application and set the terms of your loan. Once you're given an interest rate and loan amount, you can choose a car you qualify for from their lot. Once you pick your vehicle, you sign the paperwork and be set to drive off. Payments may need to be made in person at the dealership on a weekly or bi-weekly basis. Fast and easy - There's no wasting time when you go to a BHPH lot. If you don't have the time or patience, and need a vehicle to go about your daily life, a BHPH lot can get you behind the wheel quickly. These lots are ideal for car buyers with bad credit who aren't concerned with all the bells and whistles and are simply looking for a means of transportation. No credit check - You don't need a great credit score (or even a credit score at all, in some cases) to get financed. These dealers use your income to determine what you qualify for, and usually won't run your credit. Even though they may not check your credit or report positive payments, they usually will report any missed payments to the credit bureaus, which will lower your credit score. Before you choose a BHPH dealer, check the type of cars they have on the lot and if they run credit checks. Some dealerships may check it or even report positive payments, so it's best to ask ahead of time if you want to improve your credit. Buy here pay here dealers are different than traditional dealerships, and can be helpful for people who are struggling with credit issues. BHPH dealerships can be a great option if you've been turned down for a traditional or subprime car loan, and you typically don't have to wait long for an approval if you find it to be the best choice for you. BHPH dealers don't have quite as many requirements for approval as subprime lenders. In fact, since they generally don't rely on your credit score to approve you for financing, the most important things needed to qualify are income and steady employment. A subprime lender is typically looking for a minimum monthly earned income of at least $1,500 to $2,000 gross (pre-tax) from a single source. A buy and pay here dealer may not have the W-2 income requirement, the single job requirement, or even a set minimum income requirement. The monthly income you'll need to qualify generally depends on how much the vehicle you're looking at sells for, how long you're hoping to finance it, and the monthly payment you're hoping to get. Also, payments on your loan sometimes need to be made in person at the BHPH lot. These dealers may match your payment due dates to your pay schedule, which helps ensure full, timely payments. This means your payment schedule could be monthly, bi-weekly, or even weekly. Another difference between a bad credit car loan and buy here pay here financing is the amount needed for a down payment. While a subprime lender typically requires $1,000 or 10 percent of the vehicle's selling price as a down payment, BHPH dealers may be more flexible - possibly limiting it to the amount of a single monthly payment. Recent Auto Credit Express customer, Ted, shares his experience after using our service to get financing to buy a car. Auto refinance online. Refinancing car loans for people with bad credit. We help people get lower automobile rates from banks with auto loan refinancing options and low rates. You can trade in a buy here pay here vehicle much like if you had financed it from a bank, credit union, or other lending company, but how this process works depends on what you still owe on the loan compared to your car's value. Car dealerships accept trade-ins that aren't paid off. In a typical scenario, the dealership takes your trade-in and pays any remaining loan balance to the buy here pay here dealer, and you can either keep what's left over or use all or part of it as a down payment on your next vehicle. For example, if you owe $3,000 on your loan and a dealer is offering you $5,000 for your trade-in, they'll pay off the buy here pay here loan and you'll have $2,000 remaining to either keep or put down on your new car. If you've already paid off your vehicle, you can keep or apply all or part of its entire value toward a down payment. However, this process is more complicated if you owe more on your loan than the car's actual cash value - a situation known as having negative equity. In a scenario where you owe $5,000 on your loan but a dealer is only offering $3,000 for your trade, you have to find a way to come up with the $2,000 difference. You can cover any negative equity out of pocket, wait until you have equity or have paid off the loan, or roll the difference into your next auto loan. Rolling over negative equity is expensive - it means you're paying for part of your old car in addition to your new vehicle, including interest - so it should be avoided. 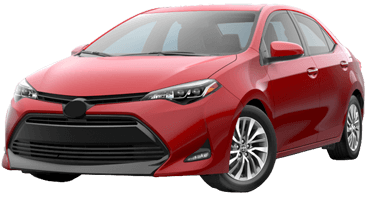 While you can trade in a buy here pay here car, you'll want to make sure you know how much you still owe on the loan, get an idea of the trade-in value of your current vehicle using online estimators, and get a few offers from different dealerships to compare before making any decisions. Do Buy Here Pay Here Car Dealerships Report to the Credit Bureaus? Buy here pay here lots may not always report your loan or payments to the credit bureaus because these dealers don't rely on your credit for approval. However, even if the BHPH dealership you're working with doesn't report payments, it doesn't mean there aren't benefits to using one of these lots. Buy and pay here car lots are a great place to go if you're having trouble getting a subprime auto loan. More and more BHPH dealers are reporting loans these days. You'll want to check if your dealer reports to the three national credit bureaus: Experian, TransUnion, and Equifax. Be sure and ask about their policies before you sign anything if you hope to improve your credit with a car loan. Is Buy Here Pay Here Financing Right for You? The only person who can decide if a BHPH dealer is right for you, is you. That being said, you need to weigh the pros and cons of getting a car from a buy and pay here lot, just like you would for a subprime lender. If you're dealing with bad credit, need a vehicle now, and aren't worried about having something brand new, a BHPH dealer may be right for you. Keep in mind, though, that your BHPH loan may not help to improve your credit. So, there's a chance you may be stuck looking at BHPH financing the next time around, too. But, if you're ready to break the cycle of bad credit while financing a vehicle, Auto Credit Express is here for you. We want to help connect you to a local dealership that's ready to get you back on the road. Fill out our car loan request form to get the process started! When you need to purchase a vehicle in the Dallas-Ft. Wroth area and think that your credit will not support it, think again and try buy here pay here dealerships.